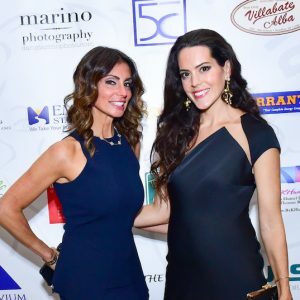 Pietros Fight, the nonprofit organization dedicated to raising awareness and funds to find a cure for Duchenne Muscular Dystrophy (DMD), welcomed more than 600 guests to their seventh annual fundraiser raising more than $250,000. 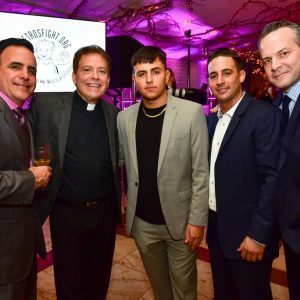 The event honored lawyer Sal Strazzulo with the ‘Cure Fighter Award’ and Nick Raineri with the Ultimate Fighter Award, for their long-term support of Pietro and the Scarso family. news that their then-three-year-old son Pietro was diagnosed with DMD – the most common and lethal childhood genetic disorder in the world affecting one in every 3,500 male births. 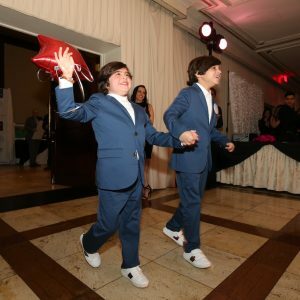 The mission of Pietro’s Fight is to increase worldwide awareness of DMD, with the purpose of raising and appropriating funds for research that will realize a cure for this fatal disease and ensure that children like Pietro have the opportunity to enjoy a full life. 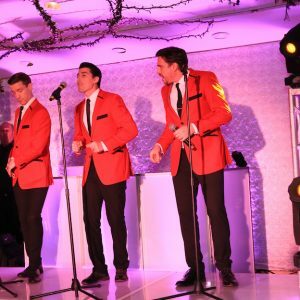 Following a cocktail hour where guests enjoyed Italian dishes and treats and were invited to bid on a wide variety of raffle items in a chance auction, they were then ushered into the dining room where they stood in respect to listen to Jessica Friedhoff, who has performed at the New York Grand Opera at Carnegie Hall and Central Park, perform the national anthem. Monsignor Jamie Gigantiello, who is the spiritual leader of the Shrine Church of Our Lady of Mt. 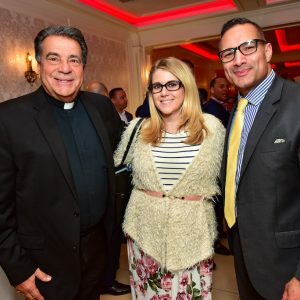 Carmel in Williamsburg, as well as the Diocese of Brooklyn and Queens as vicar for development, then gave a blessing to the Scarso family and their supporters. Manni and Dayna Scarso then rose to thank their sponsors and volunteers before playing a special dedicational video celebrating Pietro’s 10th birthday. The video featured testimonial from Manni and Dayna as well as good wishes from former NHL player Kevin Weekes, NCAAM Mississippi Bulldogs player Aric Homan, and NBA legend Shaquille O’Neal. Pietro Scarso then made his entrance, alongside his brother Nico Scarso, to applause and cheers. He thanked everyone for attending and said that he was happy to be there. 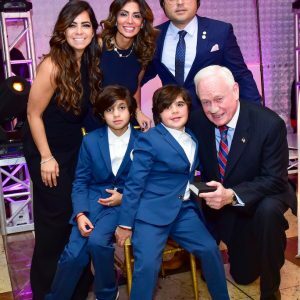 Senator Marty Golden who said that “no family has fought harder to kick DMD to the curb.” Manni and Dayna Scarso then recognized past honorees, before concluding the program and inviting people to the dancefloor. before winners of the raffle items, which included a 2019 Honda Accord donated by Bay Ridge Honda, were announced. Rappers Fatman Scoop and Chubb Rock then performed. Through their fundraising Pietro’s Fight has funded multiple research projects selected by the foundations Director of Research Dr. Carlo Rago. Sponsors included Bay Ridge Honda, Investors Bank, Raineri Jewelers, Strazzulo Law Firm, Floral Fantasy, The Mastorakis Family, Play & Say Pediatric Therapy Services LLC, Admiral Insurance, Empire State Bank, Mr. Ciao Staten Island, Kamin Motor Group, Ben Bay Realty, Signature Bank, The Moniaros Family, Adelphi Academy, Western Beef Retail, SMP SUPPLY CORP , Jabour Realty, JLS Cost Management Systems Inc., Rx KHumel, Kings Infiniti , Brooklyn Square Pizza, Livan Savino, Double Diamond Limousines, Ferrantino Fuel / FFC Energy, Elli Rusi, Truvium, Lions Club, Titaniumcs, Craig Leszczak, James Ruggiero, Louis Ruggiero, Platinumic, Dental Laboratory Group, Plumbing NYC Inc, East Coast Energy Foundation, L& L Industrial INC, Seaport Federal Credit Union, Star Cruiser Transportation, BMS Consulting, R & M Collison Center Inc, Metro Purchasing Corp, Scarpaci Funeral Home, Kiwanis, BMW, BCB Community Bank, Devant Salon, Steven Retas from SR Entertainment, 5C, Daniel Marino of Marino Photography, Stas Furman from Sinemax Films, Villabate and Aunt Butchies, El Caribe Country Club.